In derivatives, one of the important indicators for support and resistance is high or maximum OI of call and put option. 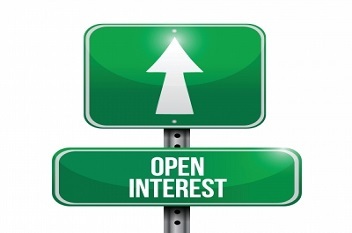 Open Interest (OI) is a number that tells you how many futures (or Options) contracts are currently outstanding (open) in the market. What does high OI of call and put indicate? It indicates that at what level traders have built positions expecting the Nifty to either go up or down. How to know support and resistance through option chain? Currently, in the options segment for the month of October, the maximum open interest among Nifty put options is at 9,800 strike, while the highest open interest among call options is at the 10,000 strike. This means the resistance of Nifty is at 10,000 and support at 9,800. How to calculate support and resistance level through option chain? Option sellers have built maximum positions at the 10,000 call and the 9800 put. The average price per share of the 10,000 call option since the beginning of the current expiry (October) is Rs 50. This means the seller will begin to encounter loss once the Nifty breaches 10,050 (10,000 +50). This will force the sellers to cover their short positions, driving the Nifty higher towards 10,100. On the flip-side, option sellers have sold the maximum puts on Nifty at 9800 level. The average price per share of this option was Rs 83, making the seller's breakeven below which she/he encounters losses at 9,717(9800-83). Short covering by sellers could result in a correction till 9,650. How to calculate support and resistance level through option chain with Delta (option Greeks )? The 10,000 call has a delta of 0.35. This means for every 10 point rise in the Nifty, the option price rises by 3.5.The average price of the 10000 call since the start of the October series is Rs.50 a share. A 0.35 delta translates into option sellers having to cover their shorts only if the Nifty rise by 18 points from 10,000, which is 10,018(10,00+18). The 9800 put has a delta of minus 0.30. This means for every 10 point fall in the Nifty, the option price rises by 3.The average price of the 9800 put since the start of the October series is Rs.83 a share. A 0.30 delta translates into option sellers having to cover their shorts only if the Nifty falls by 25 points from 9800, which is 9775 (9800-25).